Today I have a story to tell. After the story there’s a really good kitchen tip. So, you know, make sure you keep reading to the end. Which of course you would do anyway because I’m such a good storyteller, right?! Our house came with a lemon tree in the backyard. 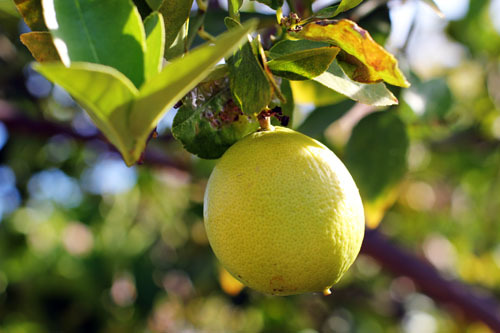 A big, beautiful lemon tree that grows the best tasting lemons in the world. There was just one problem – the lemons kept getting this weird brown spot on the bottom. We researched the issue and came up empty. Our gardener thought maybe it was a deficiency of some sort and asked other gardeners about it. Everyone was stumped. Then, one day, Nate noticed a blue tag on the tree. He flipped it over and discovered the tag had words on it and the words were these: Bearss Lime. WHAT?!?! Our lemons were limes! 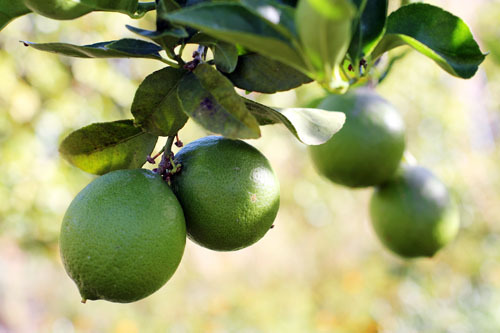 Our gardener was like, “Oh man, I love Bearss limes! 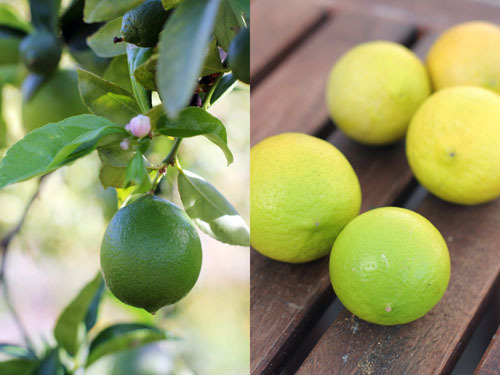 The way the tree was pruned I just never thought of it!” Now that we knew what kind of tree it was, our research was much more fruitful (pun intended) and we discovered that our yellow limes with brown spots on the bottom were actually just overripe. In our defense, Bearss limes can grow really big and really yellow. 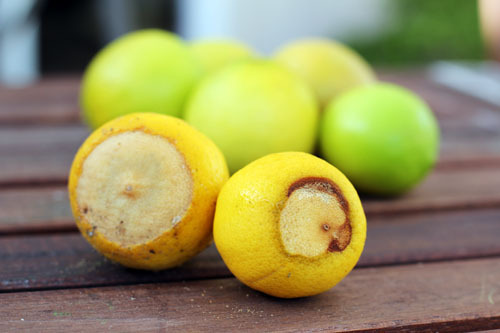 I think Bearss limes should be renamed Trick Lemons. 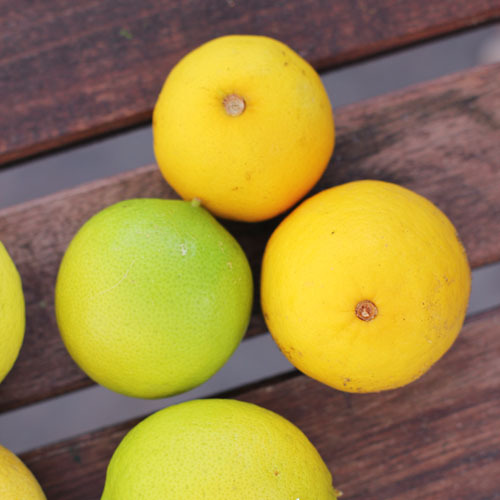 I mean, seriously, look how yellow those two overripe limes are in the picture above! 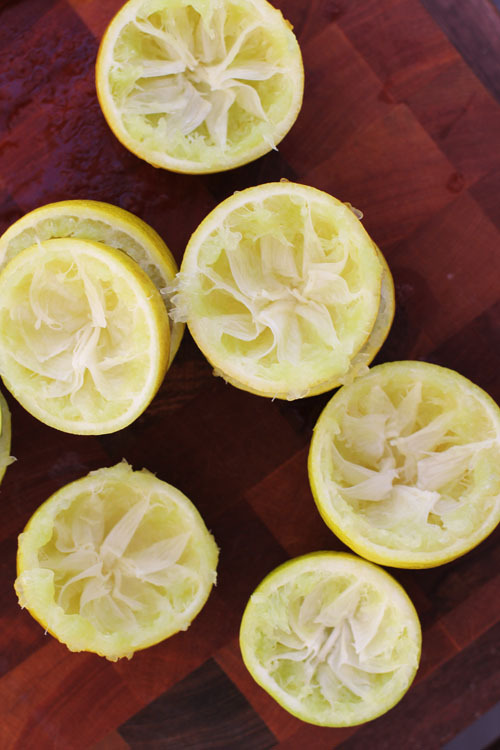 The reason our lemons were the best tasting lemons in the world was because they were actually limes. My lemon bars? Lime bars. Our neighbors’ favorite lemon chicken? Lime chicken. The list goes on. Lemon or lime, we love the tree and Nate makes the best lemonade, I mean limeade, you ever did taste. Story’s over, kitchen tip time! If you don’t have a lemon press, aka citrus squeezer, get one! 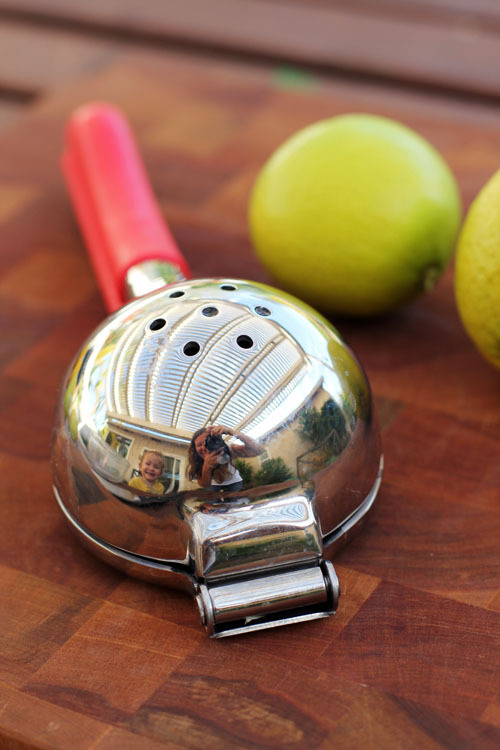 Seriously, I’ve been wanting a lemon press for years and finally, two weeks ago, I popped onto Amazon, found one that looked good and hit “buy.” I bought the Bellemain lemon squeezer and I love it. It is super sturdy and perfect for lemons and limes. Click here to check it out! I now consider my lemon press an indispensable kitchen tool and don’t know how I lived so long without it. Take note: when you start squeezing, go slow or you’ll end up with juice all over your kitchen.